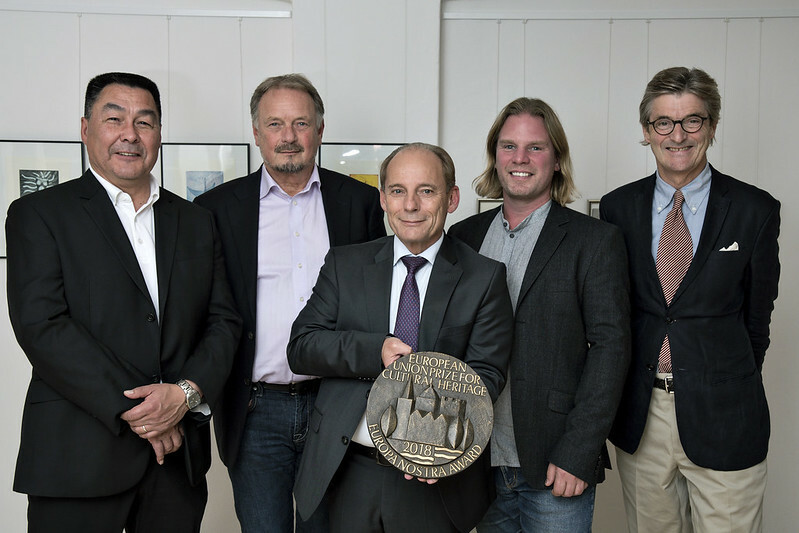 On 24 September, the Greenlandic House in Copenhagen hosted the ceremony for the restoration of Poul Egede’s Mission House, Ilimanaq, Greenland, Denmark. The outstanding rehabilitation of the 18th century house and warehouse, some of the oldest structures of their kind in Greenland, was made possible thanks to a large partnership between the government of Greenland, the National Museum of Greenland, Qaasuisup Kommunia, World of Greenland and the Danish philanthropic investor Realdania By & Byg. 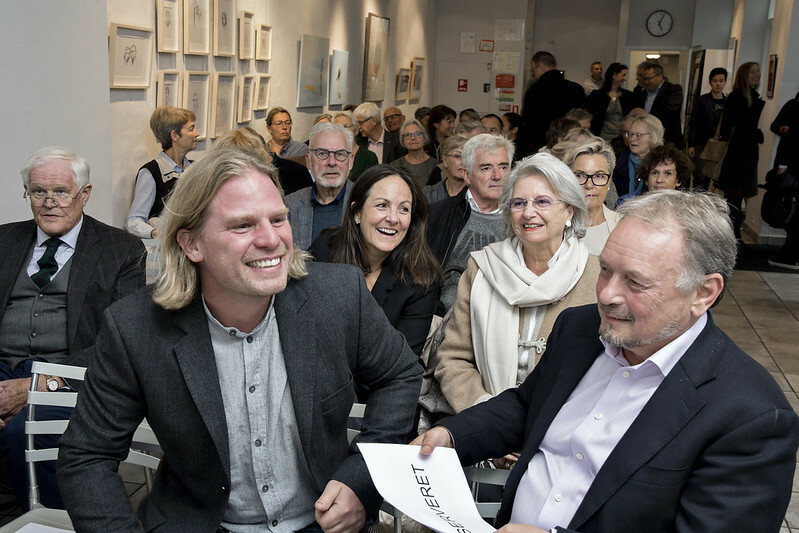 The representatives from the project received the EU Prize for Cultural Heritage / Europa Nostra Award 2018 from Erik Vind, Council Member of Europa Nostra and President of Europa Nostra Denmark, in front of an audience of some 80 people. Erik Vind congratulated the entire team for its hard work and determination which led to this well-deserved success. He emphasised that the Awards’ Jury was particularly impressed by “the high quality of the building survey and preliminary investigation of this project” as well as “the careful conservation work carried out in difficult climatic and geographical conditions”. Peter Cederfeld, CEO of Realdania By & Byg, thanked the European Union and Europa Nostra for this prestigious European Heritage Award. He noted that the restoration of Poul Egede’s Mission House would not have been possible without the great efforts put into the project by the partners from both Greenland and Denmark. Noah Boe-Whitehorn, the architect responsible for the project, highlighted the harsh climatic conditions in which the restoration works were carried out over three years, between 2014 and 2017. He also noted that the employment of local craftsmen in the process has provided training and strengthened competencies in Greenland in the field of restoration. Daniel Thorleifsen, Director of the National Museum of Greenland, thanked Realdania By & Byg for their effective cooperation over the years. He emphasised that the rehabilitation of Poul Egede’s Mission House has contributed to the economic sustainability of the small, local community and helped to maintain the unique traditions of settlement life in Greenland. The Mission House is now in use as a restaurant and lounge. The Shop and Store Building is used for conferences and for an exhibition about the restoration of the Mission House, the nearby UNESCO World Heritage area of the Ilulissat Icefjord and the upcoming Icefjord Centre in Ilulissat. The shop is also used for the sale of local crafts and there is even a cold storage facility in the building so that local fishermen and hunters can sell their catch and prey.